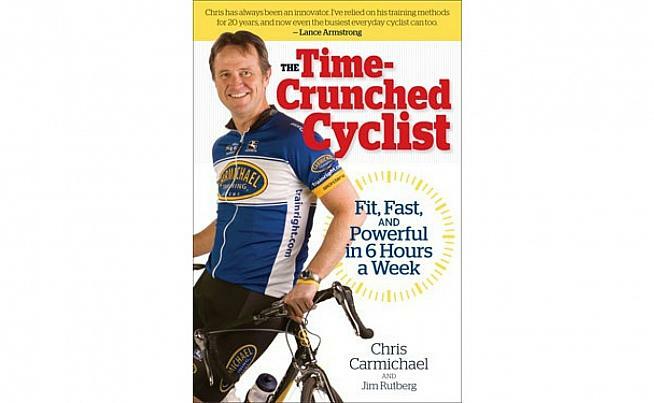 As a fortysomething, working parent with a huge passion for cycling but equally large demands on my time from family and work I consider myself the ideal candidate to try one of the training plans outlined in Chris Carmichael's book 'The Time Crunched Cyclist'. The basic premise of the book is "Fit, Fast and Powerful in six hours a week", which is about as much cycling as I can reasonably get away with without wrecking my marriage or sinking my career. The initial chapters lay out the principles of high intensity interval training as distinct from a peroidization model. The latter tends to require a far greater time spent doing base miles before beginning high intensity work. The meat of the book, which was first published in 2009 with a second edition in 2012, consists of a field test to establish either heart rate zones or power zones and then a series of distinct training plans. Which one you adopt depends on your experience and the kind of racing you hope to do. I did the Experienced Century Program and followed the instructions almost to the letter. I worked with a heart rate monitor and did most of the sessions indoors on a track bike on rollers during a very bleak New England winter. My track bike also has a speed and cadence monitor. Although I don't have a power meter I am at least able to gauge my efforts fairly precisely using all these metrics. It was probably as tough mentally as it was physically. Getting out of bed at 4.45am to do a 90 minute interval session before work two or three times a week is no joke, but the mental fortitude that you get from just doing it probably contributes to the plan's success. The workouts get progressively more intense as the weeks go by and after 8-9 weeks Carmichael claims that a rider should be in peak condition to race. 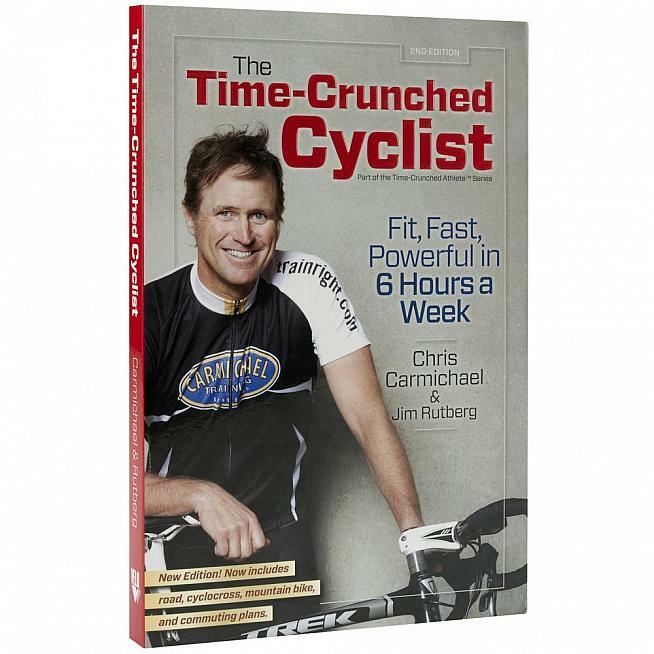 The first edition of 'The Time Crunched Cyclist'. Wonder why they dropped the endorsement on the cover? Last year I prepared using my own "cobbled together training program" (doesn't quite have the same ring to it) which was a mix of Sufferfest videos and interval workouts that I had found either online or in cycling magazines. When I rode the race a year ago I bonked at mile 44 and had to drag myself over the line. My average speed was 17.5mph. This year after doing the Carmichael's Time Crunched Training Plan I averaged more than 19mph and rode a very solid race. In addition to the training regime, I found Carmichael's racing tips to be very useful. None of it is particularly surprising (eat properly, hydrate, don't work too hard on the front etc...), but I followed his advice as closely as possible and for me it worked. There is no question in my mind. Read the book. Follow the plan. You will go faster.